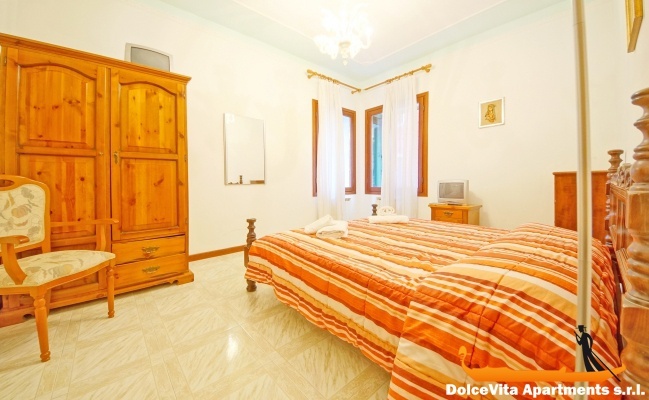 Apartment N. 91: It can accommodate up to 6 people, it is rented from 100 € per Night (not per person). 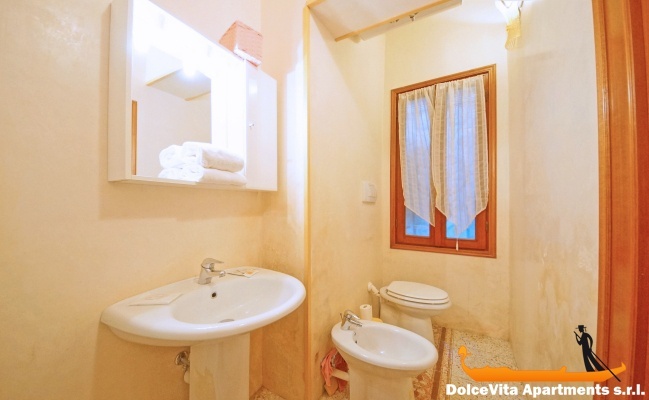 This cozy apartment in Venice is located on the ground floor and it has a separate entrance and a private courtyard. It is NOT allowed check-in later than 21:00. 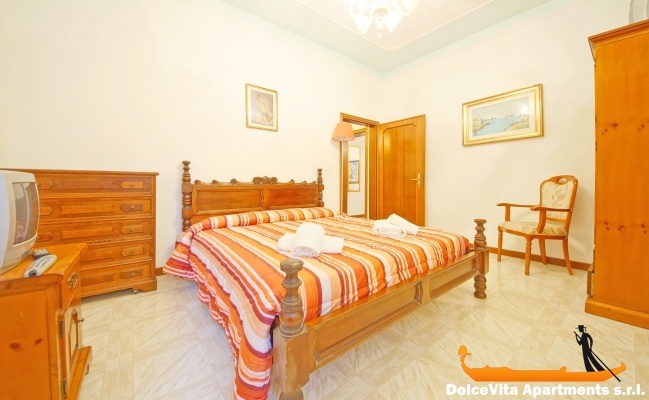 There is a spacious and renovated kitchen, a large double bedroom, a living room with double sofa bed and a bathroom with shower and window. 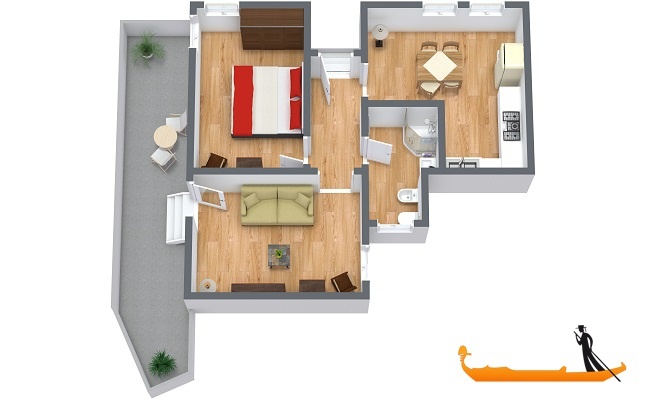 It can accommodate up to four people. 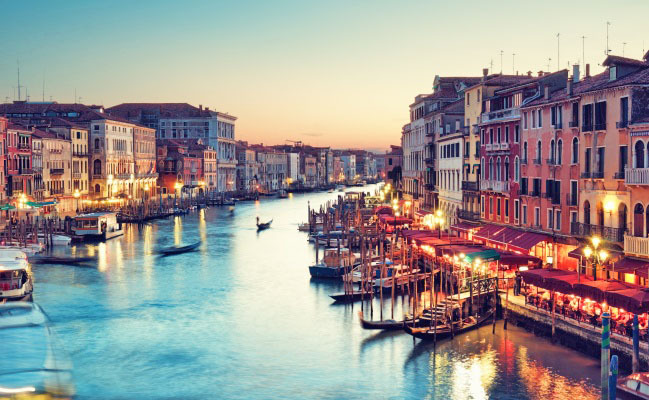 It is located in the center of Venice, in the San Polo district, it is convenient to all areas of interest and is easily reachable from Roma square and from the railway station of Saint Lucia. The “San Tomà” waterbus stop is located nearby. Everything was clean and suited our demands. The location was perfect. The lady who came to check the room was very helpful. We stayed in ten people in the apartment which actually consists of two distinct units separated by a small courtyard. 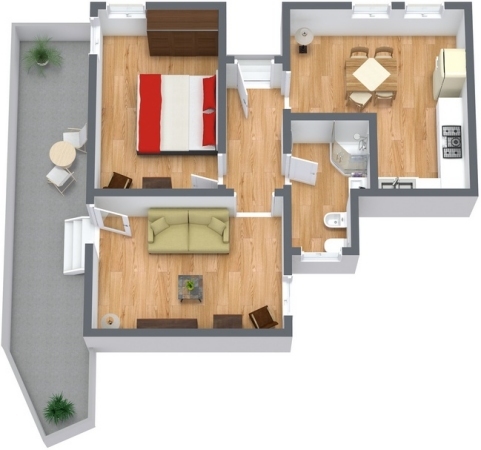 We all loved it: spacious bedrooms, comfortable even for those who slept in 3 (double bed and single bed) new bathrooms, habitable kitchen and living room / dining room where there were more beds to use. The apartment is equipped with everything, even sheets and towels more.The area is close to the Saint Lucia railway station, there are also many excellent restaurants and taverns affordable. For breakfast we enjoyed the bar 'Ai Do Scaife' in the same building. 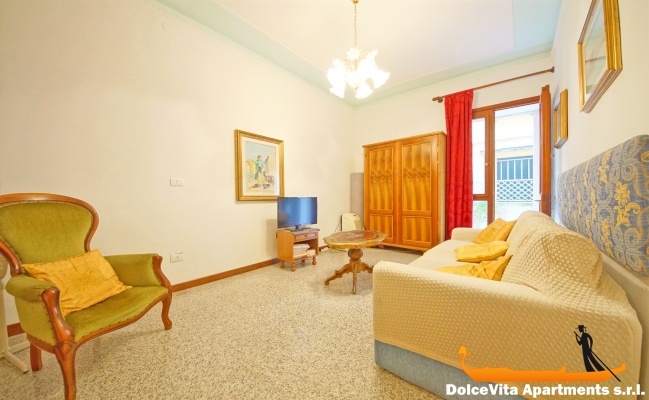 The apartment is not far from the San Toma vaporetto and in maximum 20 minutes walk you come to Zattere. 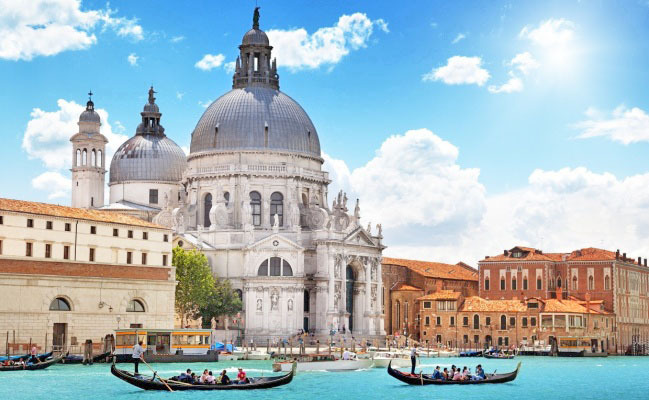 We loved the close proximity to the 'Basilica dei Frari' and the 'Scuola di San Rocco'. 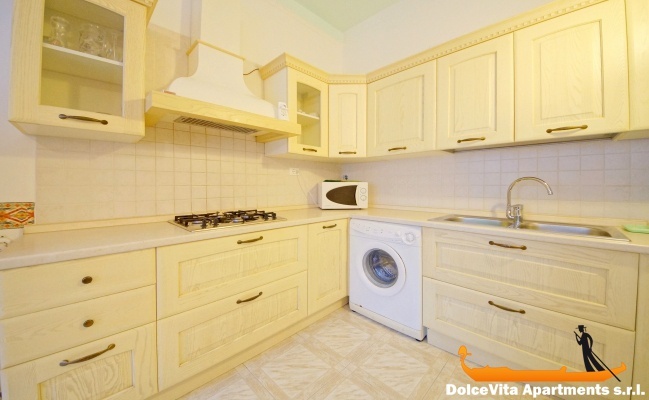 We thank Federica who waited for us at the train station and accompanied us to the apartment. Very convenient possibility to leave luggage in until time to leave. We also want to express our very positive opinion on the quality / price ratio and the information by e-mail clear and detailed immediately. 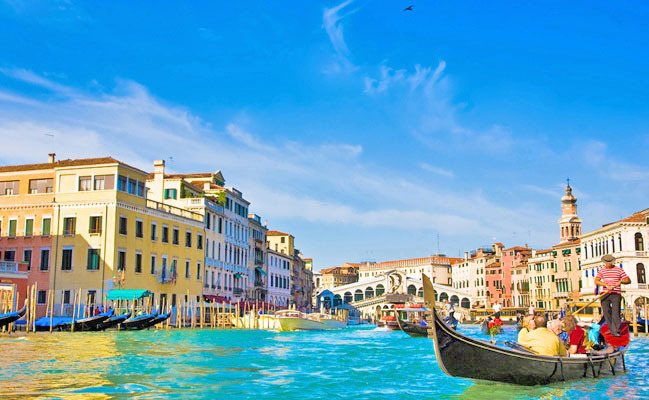 Surely, returning to Venice, we will turn to you and we will recommend our experience to friends and acquaintances.